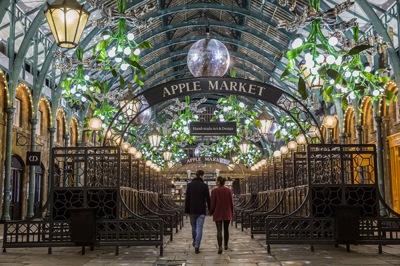 Take your chance to ‘meet under the mistletoe’ this year at Covent Garden, thanks to the designs of renowned production designer Michael Howells. 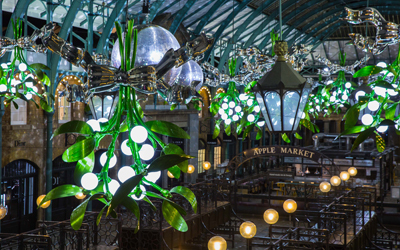 Howells, whose previous credits include fashion shows for the likes of Alexander McQueen as well as sets for films including Nanny McPhee and theatre productions such as Chariots of Fire, has come up with a design featuring more than 40 “mistletoe chandeliers” of up to 3.5 metres in size, each of which is adorned with almost 700 glistening berries. The chandeliers are united by more than 320 metres of garlands while about 100,000 pealights are suspended inside the historic Market Building. 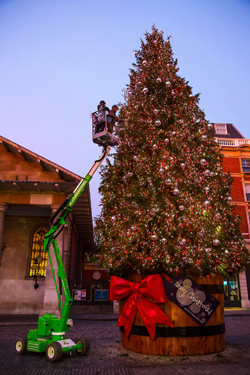 Outside, London’s biggest hand-picked – and richly decorated – Christmas tree once again stands in the piazza. For more on Covent Garden, see www.coventgarden.london. 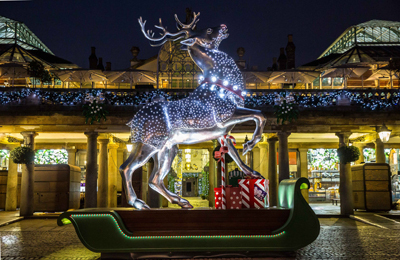 PICTURES: Courtesy of Covent Garden.